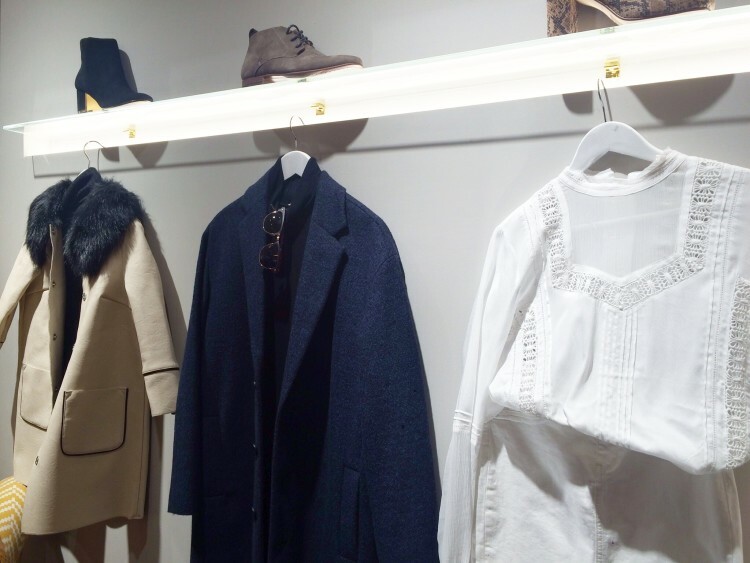 Did you know that River Island has a personal shopping service? Actually, it's more than that. The service they offer is something that you would expect from a luxury department store and equal to having your own personal stylist. You really can have a personal stylist who will dress you, advise you and make you feel a million dollars. You may be wondering what the catch is. There isn't one. It's a completely free service with no obligation to purchase anything, although I have been told you will feel and look so good that you will want to leave with something if not everything. The Style Studio, which resembles a luxiourious lounge or dressing room suite is completely and utterly sumptuous. Glamorous, warm and welcoming and with every last detail thought through to make the space comfortable and leave a lasting impression in your mind. Not only is the studio itself stunning, the 'experience' is E V E R Y T H I N G. Which, let's face it, service is what seals the deal when it comes to handing over that card and making the purchase. The staff are attentive and have a flair for making you feel super special. I can totally identify with the need for a service like this. Since becoming a mother my body shape has changed and my choices of clothes depend on what the days activities are like. My wardrobe is far more eclectic than ever and needs to be far more varied than it used to be. It can go from me needing a killer outfit for an event, an outfit for a business meeting or something less try hard but just a stylish if I'm attending something at a more relaxed venue. The days i'm with my family doing outdoor stuff or travelling I like a more casual effortless look and the days I'm working from home although lazy days in PJs seem rather appealing its not a great look if you receive an unplanned visitor or Skype call so casual comfy is what I love to lounge in. Personally I would use the River Island Style studio for many reasons. It may be that I'm going somewhere that I feel requires a certain look but am struggling to put together an outfit with what I have in my wardrobe already. It could be that there is a new trend out that I love the look of but not quite sure how I could translate it to work for me. A new season has arrived, like now. Autumn is here and I want to revamp my wardrobe with a few key pieces. I've also realised how important having a great capsule wardrobe is. The basics. Things that work every season, each year in neutral colours. Once this is in place you can play with trends and accessories. My advice would be to use this service for the first time to make sure you have the basics in place and then use the service every now and then to book yourself another session with a stylist to build on this and experiment with some of the trends. I'm so busy these days that spending an afternoon shopping for an upcoming occasion is just not possible. Especially when I couldn't guarantee that I would find what I'm looking for. But, I could most definitely spare an hour to try on handpicked outfits by a personal stylist over a glass or two of champagne. It's quite amazing that there is no charge for this high end service. I like it, I love it and I'm going to try it out and share my experience with you.